The first-ever video I created was for a site-specific installation at the Biennale in Lodz, Poland. As an animated short, it was projected large-scale onto the ceiling of the entrance hall of an old philharmonic building. Therein, I explored the idea that everything is built out of single lines, each making a connection that mimics aesthetically the notion of string theory in theoretical physics. Visually, the video shows three distinct landscapes, each slightly distorted into 11 different layers. Each layer is drawn in a different color. My intent was to show that everything solid is made out of single strings, which, when combined make up the entire universe. 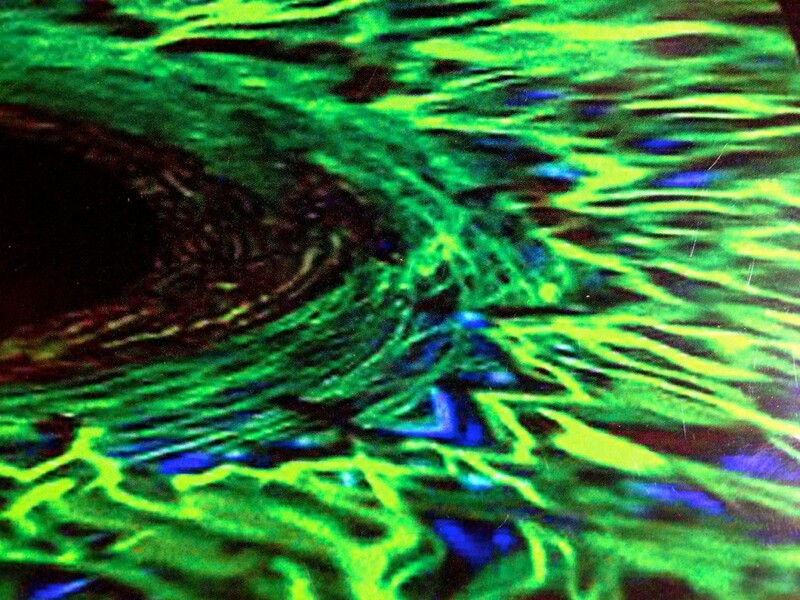 The ultimate event horizon is a black hole -- the final boundary. Nothing escapes beyond the event horizon, not even light.